Founded in 1992, Lapan Lapan Travel, a Singaporean based company, operates in both the Malaysian and Singaporean bus travel industry. 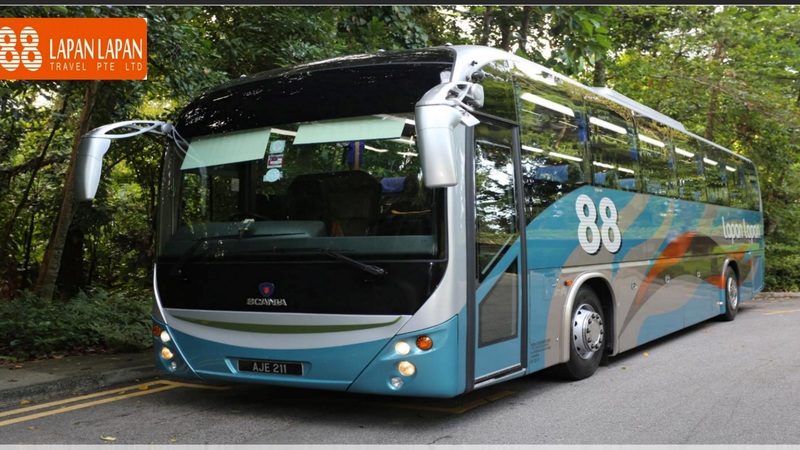 Their express buses are usually 27-seaters and designed to cater for long distance travels. With comfortable seats and spacious legroom, passengers have ensured a quality travel experience at a reasonable rate. Lapan Lapan operates at many bus terminals across Malaysia and Singapore. Terminal Bersepadu Selatan, Terminal Amanjaya and Hatten Hotel are just the familiar few to mention. Lapan Lapan’s headquarters is located in Singapore at Kitchener Road and have a branched along Jalan Bendahara in Ipoh, Perak. Why 88 Lapan Lapan Travel? Address: 45 Jalan Bendahara, 31650 Ipoh, Perak Darul Ridzuan, Malaysia. CatchThatBus offers online bus tickets to many routes covered by 88 Lapan Lapan Travel as well as seat availability features. You can book your bus ticket online from our website or via mobile app which can be downloaded for free on Google Play or App Store.